Coupes are bought because they look good, not because of any inherent practicality. With that in mind, the 2016 Audi A5 and Audi S5 are outstanding examples of what makes a great luxury coupe. They're beautiful, with museum-quality styling wrapped around a sumptuous interior. Combine that with this luxury coupe's comprehensive lineup of engines, excellent handling and smooth ride. 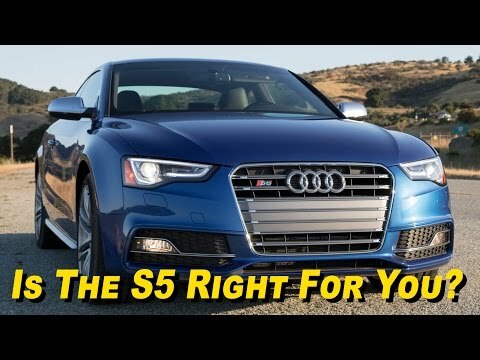 2015 Audi S5 / A5 DETAILED Review - In 4K!